As we all know, BBC4 is only good for a few things, one of which is its annual ghost story season. Thankfully, this consists of all those MR James and Charles Dickens ghost stories that were filmed in the 70s and then wisely shown on BBC1 by the then much lovelier BBC. God bless you ghosts of Christmases past. The season starts tomorrow, so get your PVRs primed in anticipation. Although minuscule BBC4 budgets appear to have become so small, they can’t afford to film a new one this year as they have for the last couple of years, we do have more than usual, including one I don’t recall having been in previous seasons. Dramatisation of Dennis Wheatley’s tale about a recuperating military pilot who sees frightening visions. Another chance to see this classic ghost story. When Mr Fanshawe borrows his host’s binoculars, he sees an unsettling sight on aptly-named Gallows Hill – or does he? Robert Hardy stars as an ambitious cleric who decides to advance his career by murdering his archdeacon. Greg Wise stars in this unsettling tale in which a traveller finds that the hotel he’s booked into conceals a supernatural secret. Michael Bryant stars as a historian who finds the clue to hidden treasure in an old stained-glass window. Jonathan Miller’s chilling adaptation of Oh, Whistle, and I’ll Come to You, My Lad, starring Michael Horden as a hapless professor who finds a mysterious whistle on the bleak Norfolk coast. A powerful drama about Mr Abney, an elderly and excitable black magician, who preys sinisterly upon children. Adaptation of the Charles Dickens story, in which a hooded figure seems to warn a lonely signalman of an unspoken danger. I would, as always, heartily recommend The Signalman; Lost Hearts is pretty good, as are The Treasure of Abbot Thomas and Whistle and I’ll Come To You. 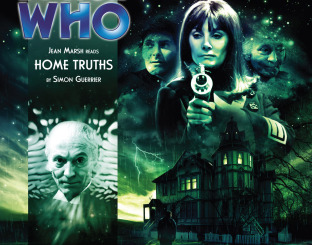 Number 13 has some okay moments but doesn’t quite have the scariness of the other modern one, A View From a Hill. I haven’t seen The Stalls of Barchester so I’ll definitely be tuning in for that one. I’d recommend that you avoid The Haunted Airman, because it was arse. The question remains though, as always: why aren’t BBC1 and BBC2 showing these or making their own. Or are they and I’ve missed them?